A teaser video clip was published by the company teasing the launch event for the much anticipating Huawei Mate 10, yes the Mate 9 successor. Currently, there's a lot being said of Huawei’s upcoming flagship Mate 10 and that has brought up its rumoured specifications as usual. 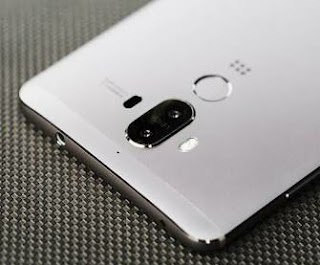 Most uniquely, Huawei Mate 10 is expected to run on the latest Android 8.0 Oreo OS as both icons of Huawei company and Android Oreo were seen so close to each other in a square image. See image below. 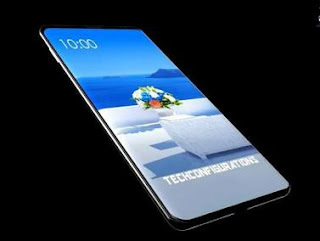 The smartphone is expected to debut the much-anticipated Kirin 970 chipset including the new Emotion UI 6. Huawei Mate 10 is expected to feature a 6-inch, 2:1 QHD screen display with 2160 x 1080 resolution and dimension 150.2 x 77.5 x 8.4mm. Also should be tiny bezels to either side of the screen. We've also seen images showing the presence of fingerprint scanner below the screen on the front, a glass back as well as a dual-lens rear camera. In a video published on Huawei's official Facebook page, teasing Apple saying “facial recognition isn't for everyone". The Mate 10 is expected to feature facial recognition just like iPhone X, bringing more security and privacy to your phone. The design of Huawei Mate 10 is going look great and stunning. Huawei has chosen to be part of other smartphone companies giving water resistant feature to their smartphones. Just like the iPhone X, iPhone 8 and 8 Plus, Galaxy Note 8, Google Pixel 2 and 2 XL, Huawei Mate 10 should be featuring a design compatible with water resistance. That is, you should be able to make use of your phone even when it is raining or can even dunk your phone in water. Huawei Mate 10 is rumoured to feature a dual-lens rear camera. At the back of the phone is seen a pairing 23MP and 20MP dual-lens rear camera. If this turns out to be true, I believe it will give the smartphone an outstanding camera quality. With all these specs packed in Huawei Mate 10, it is rumoured to have it powered by a 4,000mAh battery. I don't expect Huawei Mate 10 to be high in price. It is rumoured to sell for around $599.99 (£579, AU$999). Note: There's also a rumour speculating that Huawei Mate 10 will be launched alongside a twin phone to be called the Mate 10 Pro, and it should be having similar specs as Huawei Mate 10. So that will be all for now. The launch event is justl a few hours away, let's wait for that special time when the smartphone will become official with the real specs. Hopefully, the rumoured specs might turn out to be true. Thanks for visiting Oshetech, please do come back for more tech info.